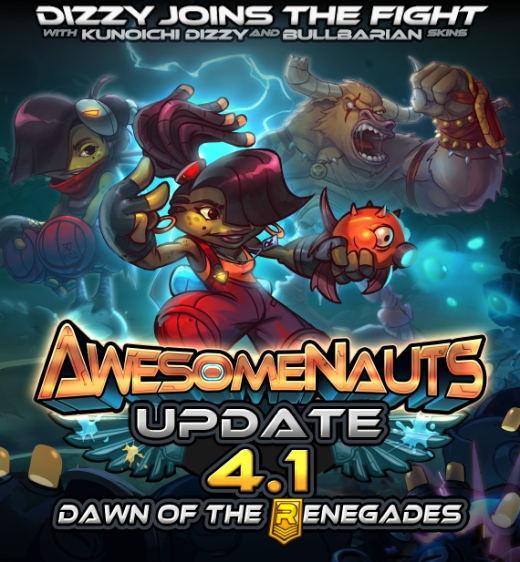 Modding Support and new Character Unleashed in Awesomenauts! 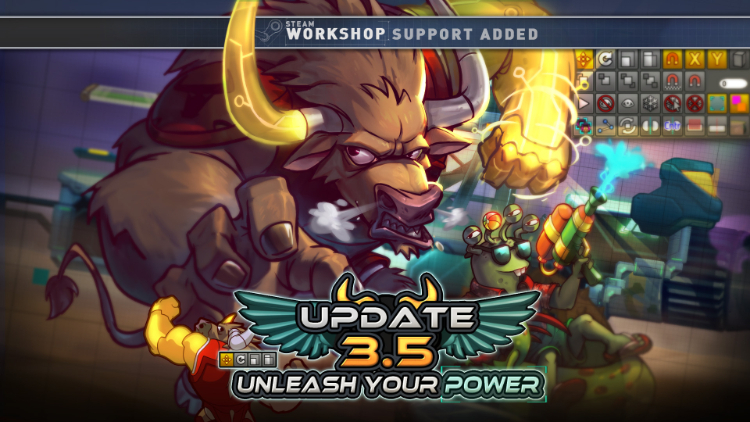 Awesomenauts Update 3.5: Unleash your Power has released on Steam! 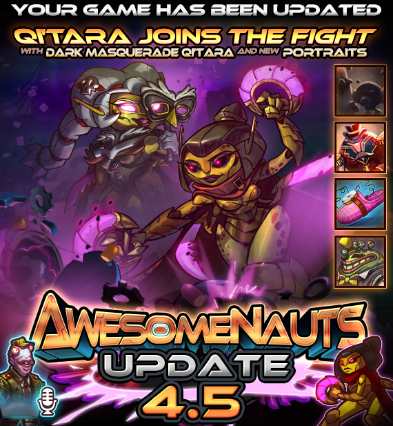 This latest update brings a brand new character and fully-featured modding support for free to ALL Awesomenauts owners! 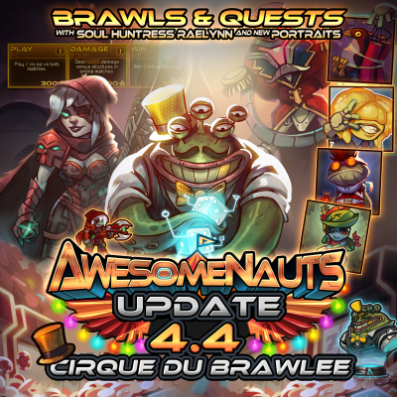 The latest Awesomenaut to join the playable roster is called Deadlift. He’s a tanky support ‘Naut that excels at shielding allies from incoming damage. Deadlift has hated cowboys since he was a young calf, and one cowboy in particular: Sheriff Lonestar. 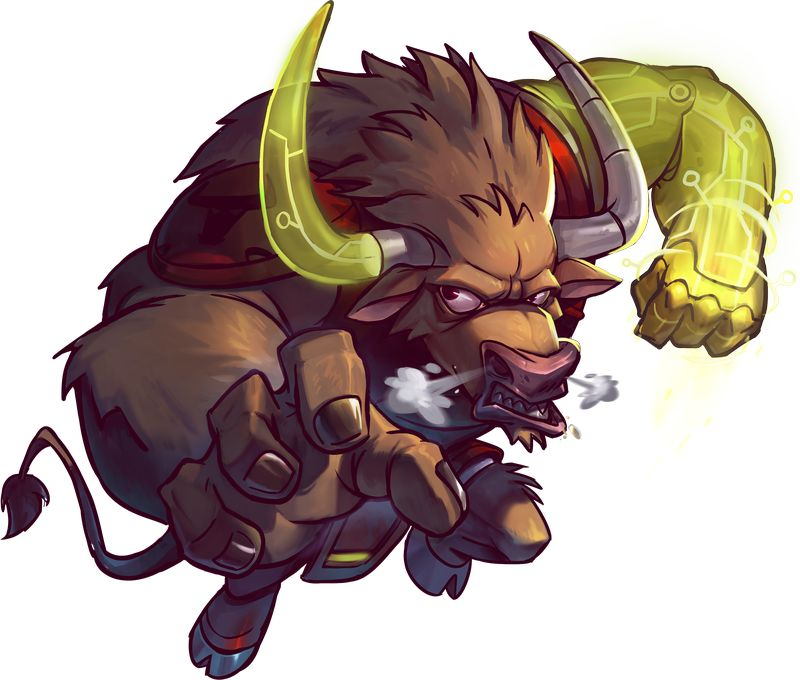 He has been training his entire life to take down Lonestar, who is one of the original Awesomenauts. 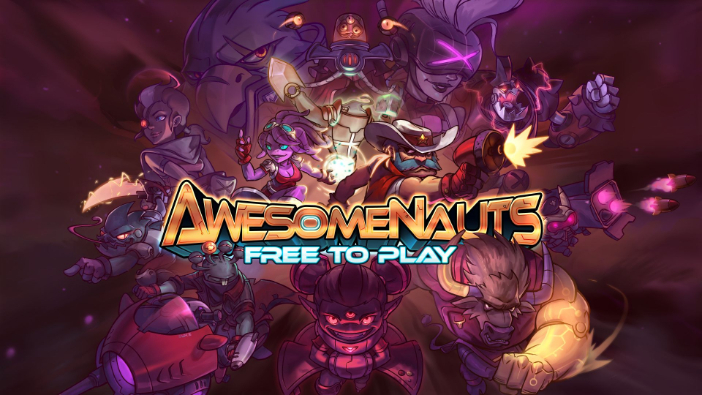 With the addition of Deadlift the roster of playable Awesomenauts has now grown to 29! On top of the free character, Update 3.5 also brings extensive modding support. This includes adding a feature-packed level editor and Steam Workshop support on top of existing customisation features. The complete package allows players to create their own maps, make custom game modes and develop their own character AI’s. These can then be packaged in any combination and shared through the Workshop! Over 75 really creative mods have already been uploaded during the Beta period, including some great 3v3 maps, challenge modes, and slick asymmetrical multiplayer modes. We’re really excited to see what players will share in the future! 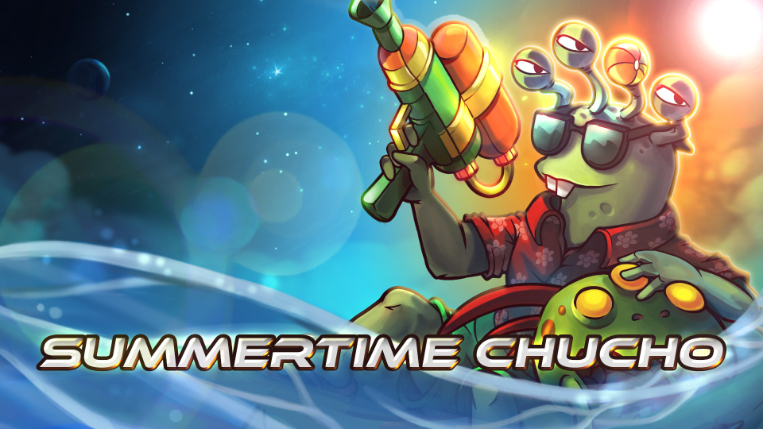 You can find all these cool creations over here: http://steamcommunity.com/app/204300/workshop/ Finally, we’re also releasing a new skin for Chucho Krokk: Summertime Chucho! This way more relaxed version of Chucho fights using two waterpistols and replaces his sticky bomb with an equally-deadly beachball! His trusty motorcycle has been traded in for an inflatable dolphin when he’s fighting on the red team, and an inflatable killer whale on the blue team. Ki-ki-ki-ki-kill!